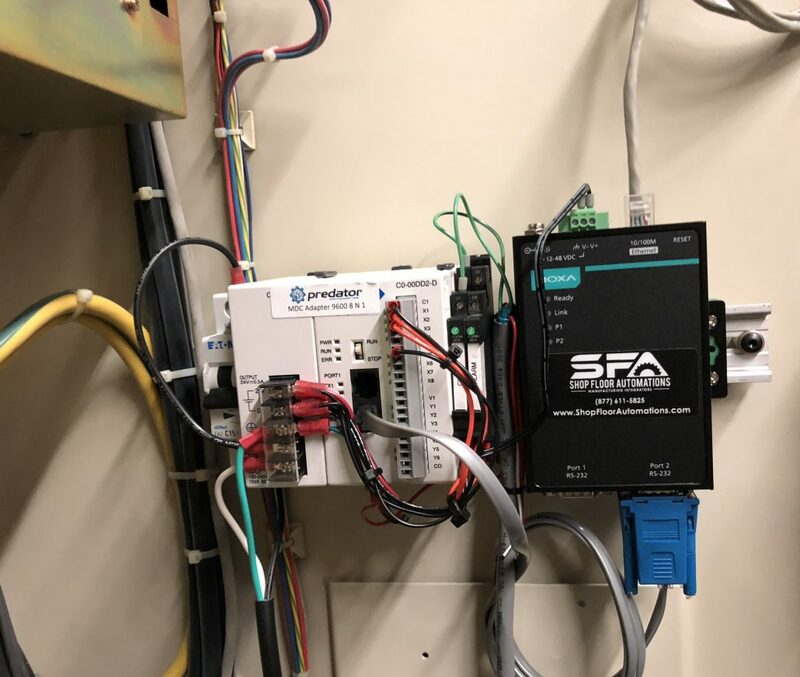 Supports automatic, error-free, and unattended machine monitoring for events such as job start and end, setup start and end, cycle start and end, to name a few of the events that can be monitored. 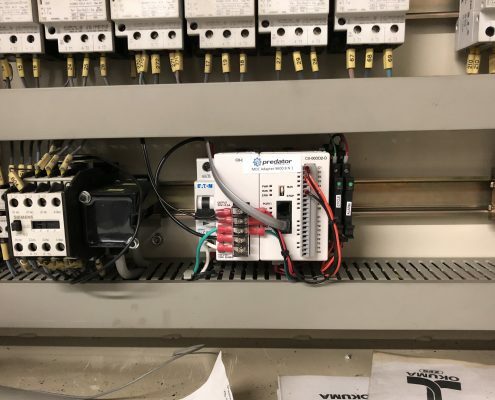 This type of data is collected automatically using software, hardware, custom macros and other methods without requiring operator training or input. 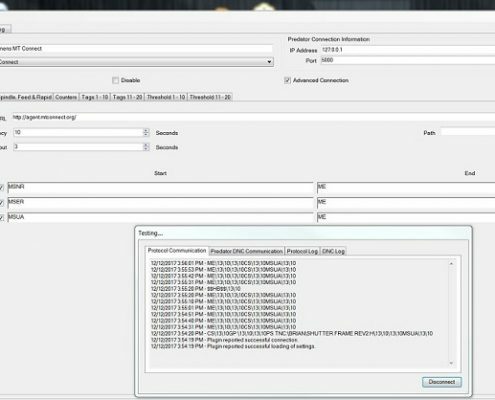 Also supports manual monitoring of events that are initiated by machine operators such as machine login/offs, downtimes, and scrap reasons. 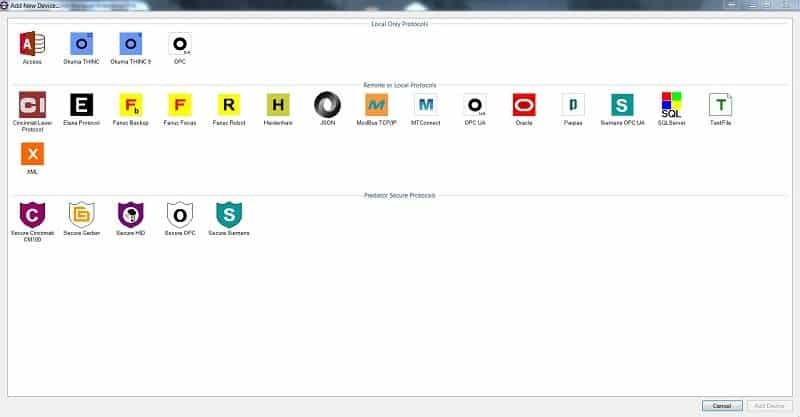 Predator MDC can be used to manually collect data using several methods including Remote Request, swiping bar codes, touchscreen PCs or standard PCs. 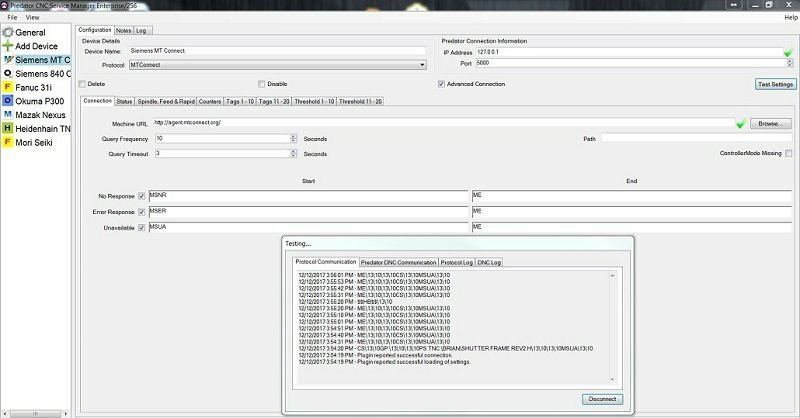 Data collection via 802.11 wireless, Ethernet, RS232, and even parallel inputs are supported with Predator MDC. 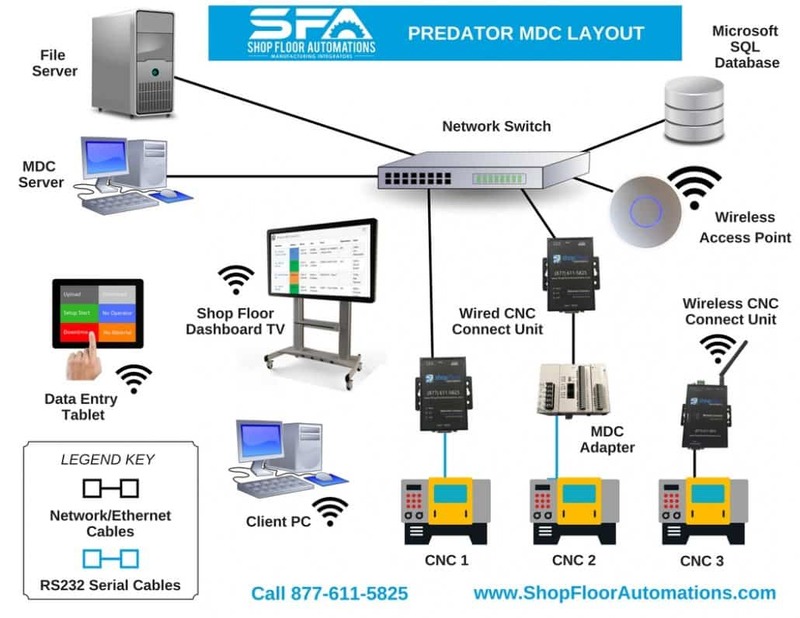 Predator MDC includes automatic data collection interfaces including MTConnect, FANUC FOCAS, FANUC Robot, Okuma THINC, OPC, Haas, and XML. 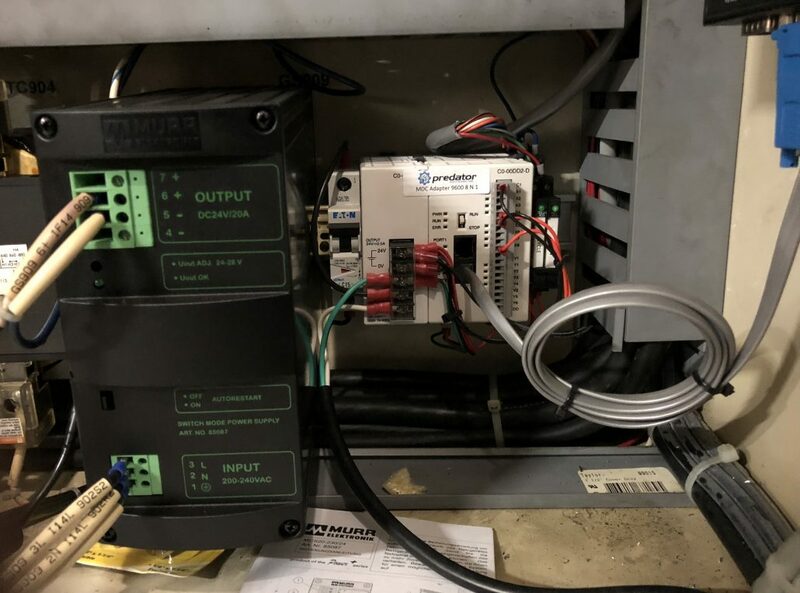 20 different methods of data collection provide enough flexibility to support every CNC machine, robot, PLC, and test stand on your shop floor. 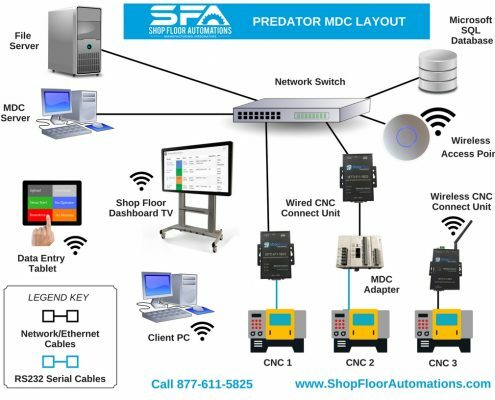 Predator MDC includes automatic data collection solutions using the Predator CNC Service at no additional charge. 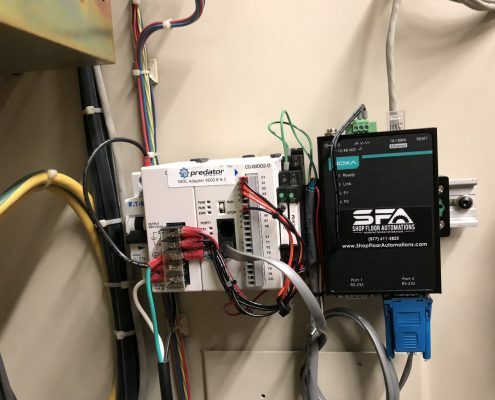 With a network connection over Ethernet, wired or wireless, collect real-time data using 20 different methods including MTConnect, FANUC FOCAS, FANUC Robot, Okuma THINC, OPC, Haas, XLM and other text formats. 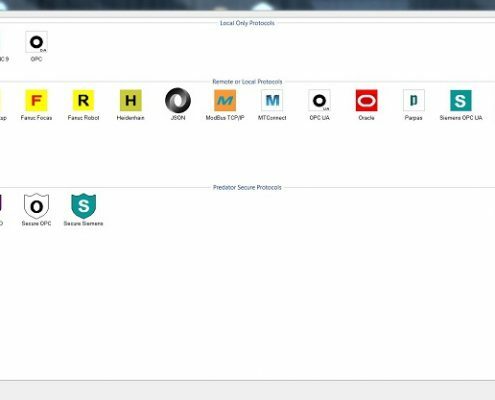 Hardware-based data collection for older CNCs, manual machines and other equipment are supported. 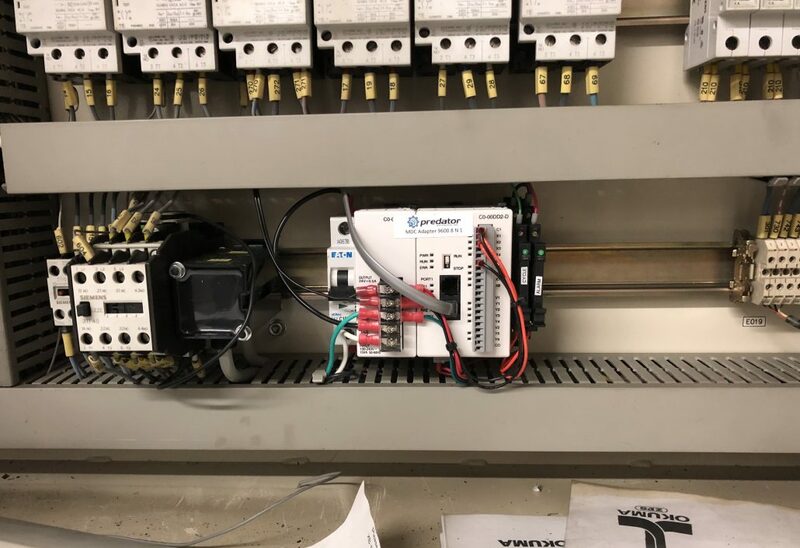 Predator MDC Adapters are din rail mounted and are wired into signal lamps, light towers, extended M functions or any digital input or output. Predator MDC Adapters are available in 5, 12, 24, 48, 110 and 230-volt editions. Domestic and international editions simplify installation and configuration. NOTE: The Predator MDC Adapter pictured above converts electrical input from any machine into text messages. 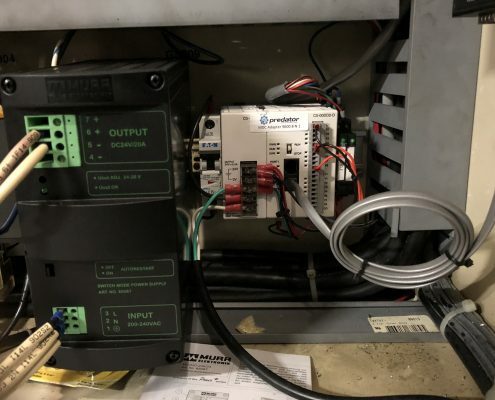 To date assembly lines, band saws, dot peen markers, CNC machines, manual machines, robots, PLCs, ATE test stands and many other machines types have leveraged the power of the Predator MDC Adapter.